Too often I’ve gone on a search for a rare piece of anime merchandise or a niche Japanese video game only to find that it’s not available anywhere that ships outside of Japan. Most fans of Japanese products that live anywhere but Japan itself eventually run into this problem – there are so many items that simply can’t be procured without a Japanese postal address. That’s where forwarding services like Tenso come in; for a fee, they provide eager shoppers with the Japanese address they crave and then forward any purchases to their final destinations overseas. I’ve heard great things about Tenso from friends who’ve used the service for years, but despite the amount of Japanese products I import, I’ve never actually used a forwarding service myself. I’ve been blessed with having more than a few friends who’ve been willing to be middle men and women for my packages, but to be honest, I feel bad asking for so many favors! So, after many years of relying on friends in Japan to ship my purchases out for me, I’ve finally decided to give Tenso a go. Since I’ve received more than a few inquiries wondering if it’s worth the effort, I’ve decided to write up my complete experience purchasing a PlayStation Vita 2000 from Amazon Japan and forwarding it with Tenso vs. purchasing it outright from various importers. First, I must admit that I do not know anything about other package forwarding services. 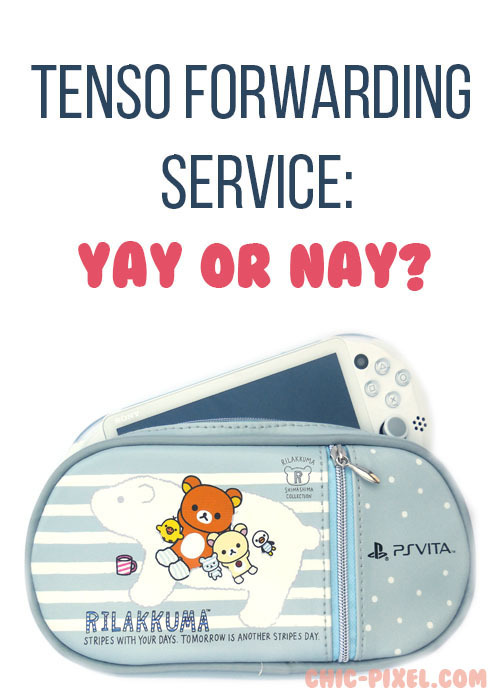 I’m sure there are many other comparable services out there, but I went with Tenso because from what I understand they’re one of the largest, or at least the most well known, Japanese forwarding services. As previously stated, I also have more than a few friends who have used Tenso for months or even years, and have always had positive things to say. As such, I decided to start my package forwarding journey with Tenso! In order start buying packages with Tenso, you need to sign up for a free account. As soon as you register, you’ll be given a Japanese address that you can use when shopping on sites that don’t ship outside of Japan, but in order to actually have those packages forward to you, you need have your ID verified. According to Tenso’s website, all services that receive packages on behalf of other individuals must complete an ID check under Japanese law, so I would be wary of other services that don’t list this as a requirement. To verify your identity, you’ll need to send Tenso one or more forms of ID that show your full name, date of birth, and current residential address (the address you want to receive packages at). For the ID check, I submitted a scanned copy of my passport and my current tenancy agreement, and only ran into a slight problem. I didn’t include my middle name when I made my Tenso account, which meant that the name on my passport didn’t match the details I provided. Whoops! Once I changed my Tenso account information to match my ID, everything was verified very quickly. Just be sure the information on the IDs you provide matches what you filled in on your Tenso form exactly, including middle names! After you’re verified, it’s time to go wild! Actually, it’s worth noting that Tenso will accept packages and hold them for you until you’ve been verified, but I personally didn’t feel very comfortable doing this. 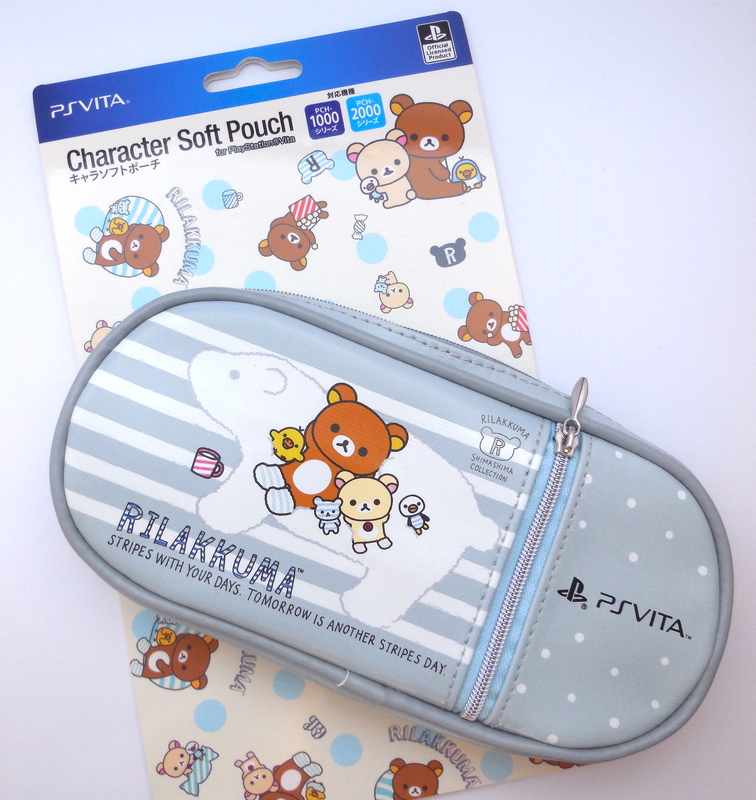 So, once I’d gotten the “ok” from the Tenso team, I went ahead and ordered the items I’d been coveting: a light blue and white Vita 2000 and adorable Rilakkuma Vita case from Amazon Japan. Tenso also has a great list of recommended sites you can order from, but you’re certainly not limited to just them! Once you’ve purchased your items, you’ll need to wait for an email from Tenso confirming that they’ve received the package(s). In the case of my Amazon Japan order, it shipped on Thursday, July 23, and was marked as delivered on the same day (talk about fast!). Tenso then notified me that the package had been received on Sunday, July 26th. Their site says they generally take a day to process and are closed on weekends, so I was honestly not expecting to hear anything until Monday! Another neat feature of Tenso is their package consolidation service, so you can combine a number of small orders from numerous sites into one larger package to send overseas and theoretically save on shipping. In the case of this order, I didn’t need to do that, so I simply chose the international shipping method I wanted for the package and paid. This is where Tenso adds in their fee, which scales depending on the weight of the package but starts at ¥580 (which is broken down to a ¥50 service fee and a ¥530 handling fee). If you do decide to consolidate packages, there is an extra fee for that. The product details section in Amazon Japan is a great way to see if the item you wish to order can be shipped to an international address without a forwarding service, as well as its individual size and weight. The most common question I’m asked regarding shipping Japanese items overseas is how much it costs. Tenso has a great shipping fee calculator that breaks it down for you based on country and weight of the package. Not sure what the weight of your package will be? Never fear, as many sites like Amazon Japan display the weight and dimensions of their items individually, and will usually provide the total package weight when you check out so you can add up all the costs before committing to any purchases. After paying Tenso’s fees and the cost of international shipping on Sunday, I received an email stating that the package was shipped on Monday. Talk about speedy! I then had an eager few days wait for the package to arrive at my door via EMS shipping. My shiny new Vita finally landed in my grubby little hands on Friday, July 31st. So, from the initial order on Amazon Japan on Wednesday, July 22, it only took a little over a week to ship to Tenso, be processed, and then reach its final destination in Australia! Overall, I am extremely happy with my first package forwarding experience with Tenso and will definitely be using the service again. The only issue I can potentially see is that Tenso does not confirm whether or not your items have arrived to them “in one piece,” so if something is broken in transit it will be difficult to say who is at fault. However, Tenso has a detailed FAQ on how to proceed if should happen to you. Considering I’ve never had any issues with items I’ve ordered from Japan arriving broken after many, many years of shopping, I personally am not too worried about it, but I would suggest only ordering new items from reputable sites if it’s a concern. But was ordering a PS Vita 2000 and case from Amazon Japan and having it shipped to me via Tenso actually worth it? The table above shows a comparison of the cost to purchase the system at a couple of import sites. Australia doesn’t have any customs fees, so all up I paid ¥24,175, or $195.07, for a gorgeous light blue and white Vita and drop dead cute Rilakkuma case from Amazon Japan! From my brief comparison, it seems pretty clear that for certain items, using a forwarding service rather than an import site can be cheaper overall! Depending on the exchange rate, these numbers may change, but for me right now, it’s clear that using a forwarding service to purchase my Vita was the best and cheapest route. It may seem daunting at first, but Tenso has very clear English instructions and help available to guide you through the process. If you’re a fan of Japanese products, it could save you some money and give you access to items you couldn’t buy otherwise, so do consider giving Tenso a try! Note: This post was not sponsored by Tenso in any way. In fact, if you enjoyed it but would prefer to order your items from Japanese import sites, please consider using my affiliates such as Jlist, and CDJapan. You can also throw dollars my way via my virtual tip jar. Your support is greatly appreciated!